The skies over New Zealand were mysteriously lit up in various colors while the 7.8-magnitude earthquake struck close to the city of Christchurch. Footage of the unusual sky was posted on YouTube and showed what appeared to be bright flashes “during the peak of the shaking” on Sunday, according to video uploader Zachary Bell. 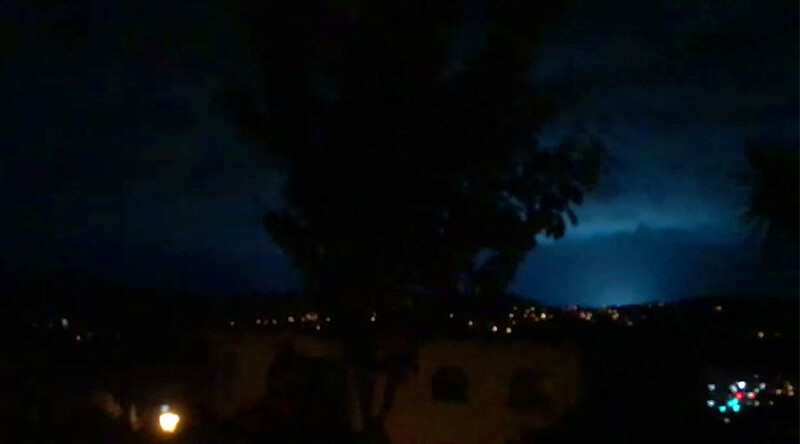 In a separate video posted to Instagram, which was recorded in Wellington, similar flashes could be seen lighting up the sky. Such flashes of light have been spotted during earthquakes in the past, including the Christchurch earthquake in 2011, which killed 185 people. Some YouTube commentators suggested that the lights could have been caused by “power lines clashing” or electrical transformers being damaged during the quake and exploding, although this was ruled out by Bell due to the location of the flashes over the ocean. Scientists also can’t agree on the cause, although, according to a 2014 paper, electrical properties of specific rocks can result in “earthquake lightning” and what’s more, the flashes can take various different forms and colors. During the 2009 earthquake in L’Aquila, Italy, witnesses reported seeing lights flickering in the skies, according to the National Geographic.